A beautiful morning looking for birds at Washoe Lake State Park. 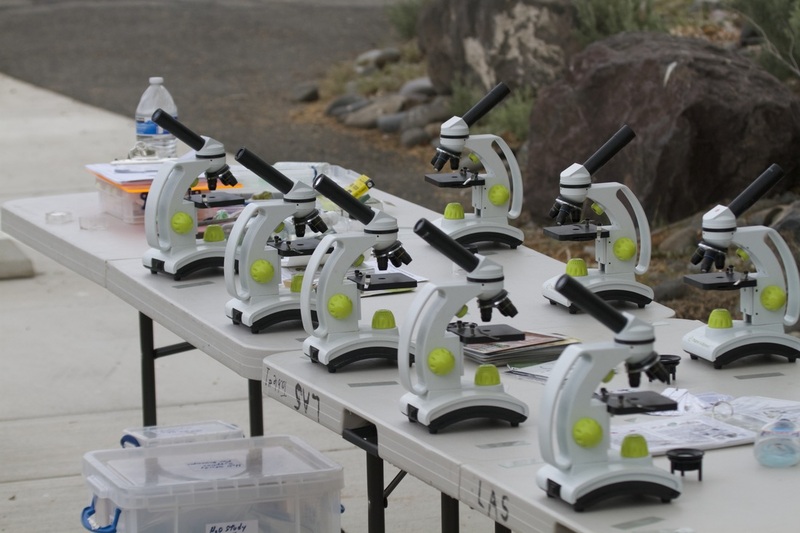 It’s not all about just birds — here are microscopes that students use to study aquatic organisms, which are part of the food chain that's important for birds. 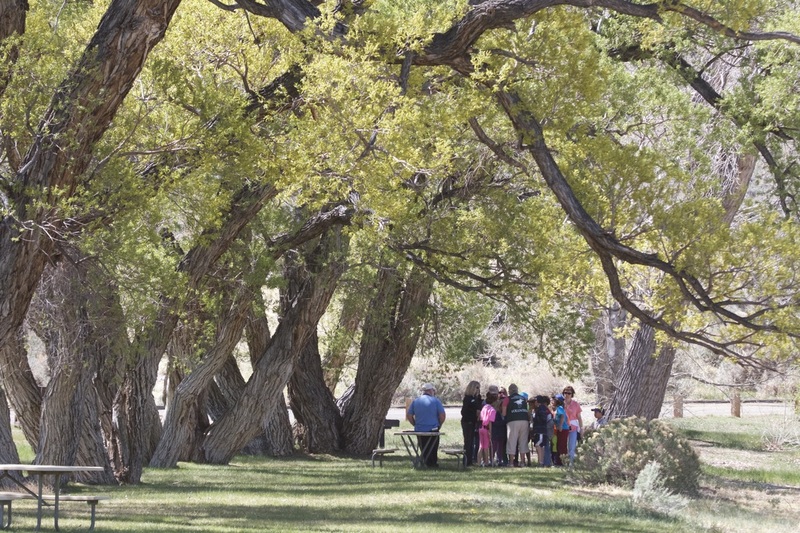 The primary goal of our student field trip program is to get kids outside to watch birds. LAS started leading field trips for school kids at Washoe Lake around the year 2000, first at the viewing platform at the southeast corner of the lake, and more recently (due to low water levels) at the picnic area at Washoe Lake State Park. If you are a teacher and would like to request a trip, or are a volunteer that would like to get involved, contact laseducation17@gmail.com for information from Education Committee Co-Chairs, ​ Linda Valle and Michal Goddard. In past years LAS has hosted as many as 15 and 16 trips a season, serving a many as 900 or more school kids a year. The lake was dry during our 2015 field trips due to our continuing drought. But that served as a “teachable moment” for the kids--to learn about where our water supply comes from and to appreciate the unpredictability of nature.